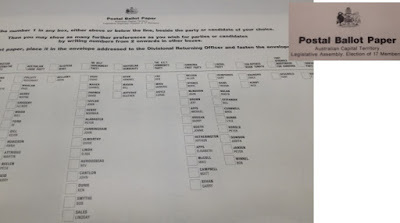 With the election fresh in our memories, it is strange to think that it’s only recently that local people have been able to have a say in how our Australian Capital Territory is managed. The election just gone was only the ninth territory election, or, to put it another way, the first election was held around the time that young voters (who voted in their second or third ACT election) were born. One of the unique things about living in Canberra is the tension between ‘Canberra’ as the seat of federal government verses ‘Canberra’ as a place where a small but growing community of real people actually live. The long road to self-government shows this tension writ large. When the ACT (originally called the Federal Capital Territory) was gazetted in 1911 it was run by the Commonwealth government and Commonwealth public service (APS), which naturally focused on federal issues. In those early days, the small local community were able to directly contact the appropriate person over various issues, but on a federal level, they were still disenfranchised without any direct representation. It wasn’t until 1949 that the Federal Division of the Australian Capital Territory was created, and even then, the new Member for the ACT could only vote on matters directly related to the territory. In the 1950’s Prime Minister Robert Menzies established the National Capital Development Agency and brought the full public service from Melbourne to Canberra. The population more than doubled in under a decade and Canberra as we know really began to take shape. Due to the exploding population and an increase in the private sector, it became desirable to some that Canberra be administered in its own right, and not merely as the seat of government, and so the debate ensued. Self-government was a heated issue – most other Australians were against it and the administration of the ACT was shunted from department to department for many years. Various ideas were suggested, such as Canberra electing a mayor or the ACT being subsumed and managed by New South Wales. After a failed referendum in 1978, there was a continued push for enfranchisement from members of the community and the government. People wanted the ACT to pay for itself and not rely on federal funding. Despite opposition from various fronts, including locally, self-government was eventually granted in 1988, with the first election for Legislative Assembly held on 4 March 1989. While some ACT residents welcomed the change, others opposed self-governance, evidenced by the original ballot paper, held at the ACT Heritage Library. In typical Australian fashion, and indicative of local feeling, the ballot paper contains such gems as the ‘No Self Government party,’ the ‘Sun-ripened Warm Tomato party,’ the ‘Surprise party’ and the ‘Party Party Party’. 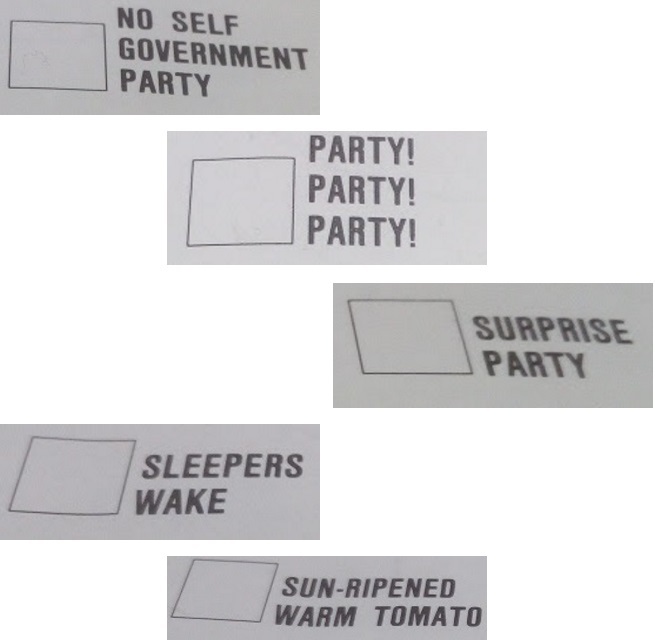 Votes were cast and many of the anti-self government protest parties were elected to office. This made for interesting proceedings for the first assembly, with control of the government changing twice before the next election. There was much debate over the role of the new government and the as yet unformed ACT Public Service (ACTPS), with some wanting it to function like a local council or a mayor’s office. It took until 1994 to pass the Public Sector Management ACT, which allowed the Territory to manage its own housekeeping and shifted over 20,000 public servants across to the ACTPS. The unique position of Canberra as a city-state allowed state and local government functions to be combined into one service with the ACTPS performing roles usually associated with local councils such as waste disposal, running libraries (like us!) and maintaining roads. After the first assembly, consecutive elections took a more traditional path, and political life stabilised. 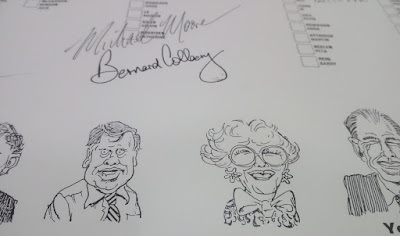 Along with the copies of the first ballot paper, including one with caricatures by Geoff Pryor and signed by some of the candidates, the ACT Heritage Library holds several related collections, such as: HMSS0107 Transition to Self Government Oral History Project, HMSS 0147 House of Representatives Joint Committee on the Australian Capital Territory and HMSS 0072 Establishment of the ACT Government Service Papers. 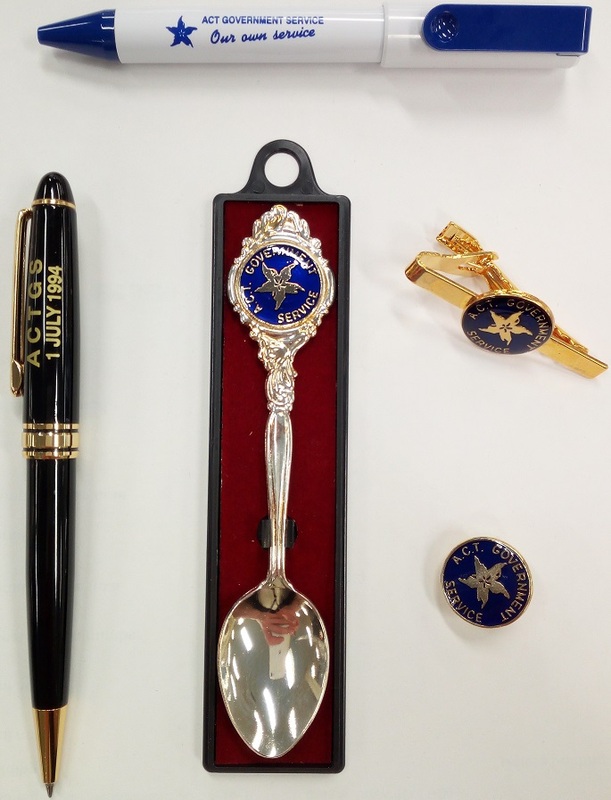 You will also find some souvenir memorabilia issued in honour of the commencement of the ACTPS on display in the reading room. Wettenhall, Roger (1998). "Governing the ACT as a Small Quasi-State". Canberra Bulletin of Public Administration (87): pp. 8–20.